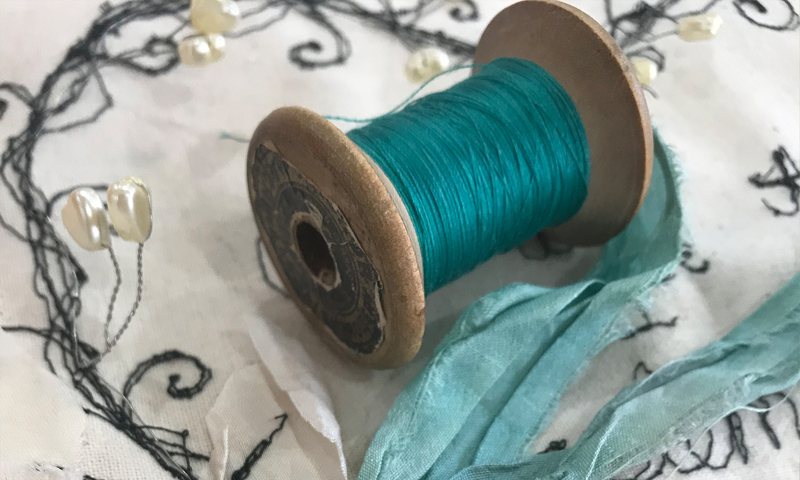 Felt corsage “Sea Mist”. 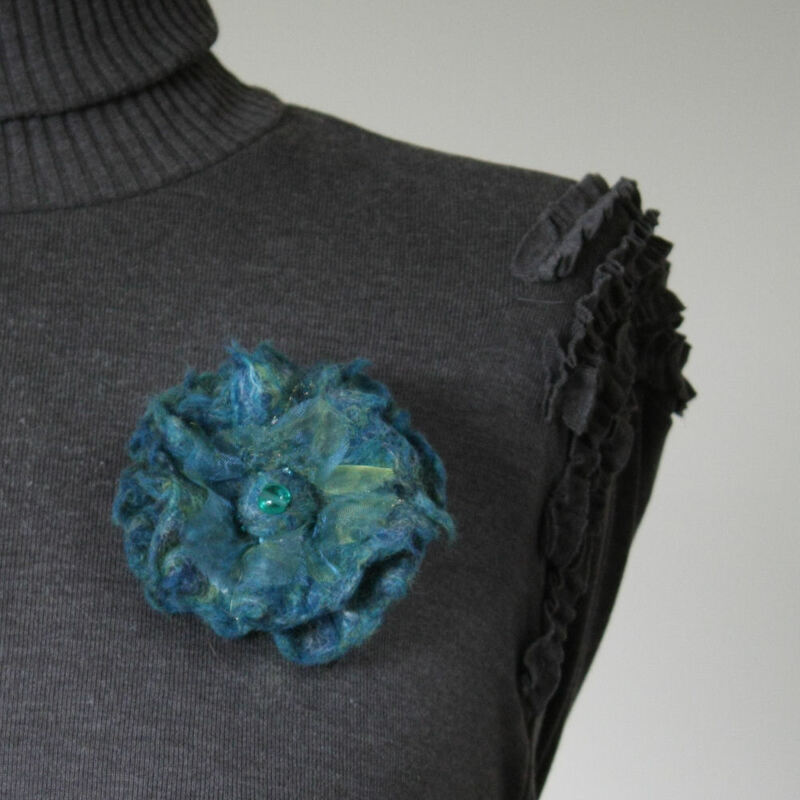 A beautiful sea green and blue hand felted, one off felt, flower brooch. Detailed with a needle felted central felt bead. Sparkling blue and green seed beads and glass bead enhanse this piece and two tone gold/ blue crystal organza catches the light giving it misty quality. A metal brooch clasp is sewn to the reverse, which allows you to attach this brooch to a garment of your choice. Approximate size 7 cm across. Product code – FC ND SM 092011.